I finished Persona 5 a few weeks ago and, unable to get my magical high school friends out of my head, decided I’d jump back in and give its New Game Plus mode a try. It’s not something I normally do with games, but I’m sure glad I did it here. I don’t usually bother with NG+ modes in games because I don’t normally play games twice. I like to buckle up, enjoy the ride, get to the end of a story then move on to something else (I rarely rewatch movies or TV shows for the same reason). I’m also not usually bothered with the perks normally associated with NG+. If you’re someone who plays a game like Dark Souls to enjoy the mechanics, then I appreciate why you’d want to keep coming back to experience stuff like increased difficulty. But since I’m normally playing a game for its story rather than its challenge, there’s little point coming back for...the same story. But Persona 5 is different. It’s literally impossible to see the whole story on your first playthrough, as the game’s time limits mean you’re constantly having to juggle and prioritise your social schedule. Even if you wanted to, you could never see or do anything the game has to offer on a single run. 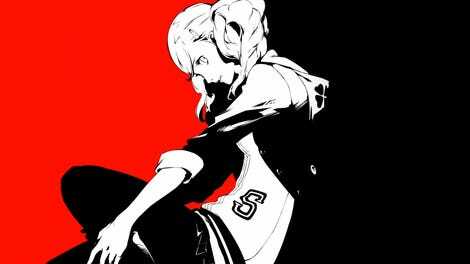 A second playthrough using Persona 5's NG+, though, lets you do just that, while giving enough of a boost to your situation that you can blow right by the boring stuff and get to work dating/hanging out with people who you missed first time around. You gain access to NG+ once you’ve completed Persona 5 the first time around, and firing it up drops you right back at the start of the game with all your money, Persona, equipment (like weapons and armour) and skill cards. Most importantly, you also retain all of your social stats (Knowledge, Charm, etc), meaning that the biggest drain on your free time—studying and working out—is no longer a concern. You’re now free to spend your spare hours working on your confidant links (which don’t carry over), and don’t even have to worry about the statistical gate-keeping (like needing a certain charm level for a Makoto date) that plagued your initial run. Depending on how much you enjoy the game’s dungeons, you’ll still have to fight your way through them, but your progress will obviously now be much quicker considering you’re packing end-game gear. You’ll also be able to save time throughout the game—and we’re talking hours and hours here—of cutscenes by simply skipping them, since you already know what’s going on. On my first time through the game, I dated Makoto and maxxed a few other links, but didn’t get anywhere near as far as I wanted to down the storylines of characters like Hifumi, Yusuke and Iwai. Now I’m going to get that chance, while also getting to know folks like Haru and the kid at the arcade, both of whom I straight-up ignored, while also working jobs I never did and visiting date spots like the maid cafe that I never made it to. While this won’t change the central storyline of the game, by swapping up the peripheral tales I’m enjoying around the fringes, it’s going to feel...not quite like an all-new game, but certainly a fresh take on it. As though Atlus had released a Persona 5 Director’s Cut, or an expansion called “Why Can’t I Date Yusuke”. Throw in the added bonus of a powerful new Persona that you can craft and a new Mementos boss fight that’s only available on NG+ and you can see that, despite the drain Persona 5 takes on you in its final 10-20 hours, jumping right back in isn’t the worst idea in the world. After all, at its heart Persona 5 is a game about making friends: what can be better than making new ones?